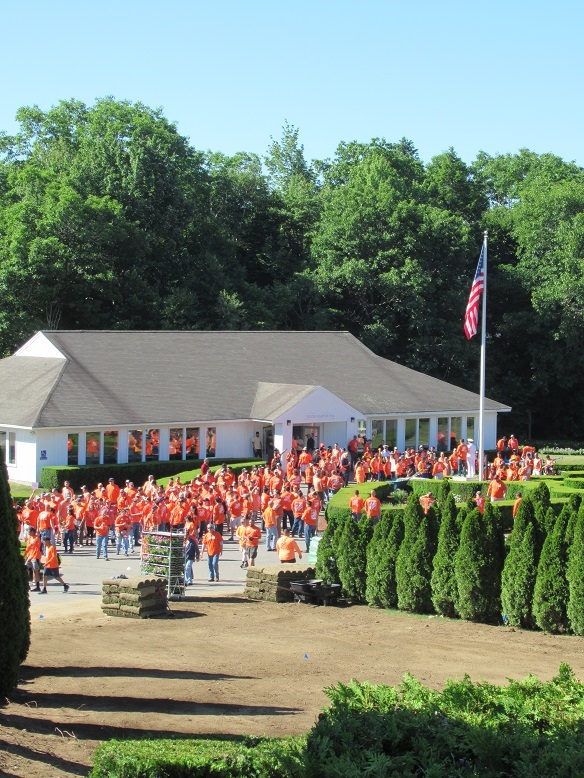 I recently had the wonderful opportunity to participate in an amazing “Team Depot” project at the Ron Burton Training Village, in Hubbardston, Ma. 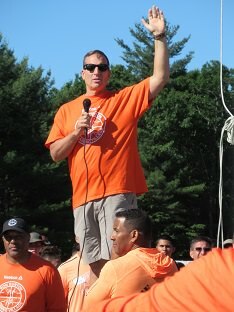 The over 300-acre site is tucked away, the camp can be reached by traveling down long, winding, rural roads in central Massachusetts; but once you exit the highway and begin the venture into the woods you can feel the camp is there, The Ron Burton Training Village has a heartbeat that you can feel miles away. This is a place where good work is done, extremely good work, the kind of work that change, and can shape people, in a way that makes them the best they can be, and that extends to all who come in contact with them….. you can feel in their handshake. 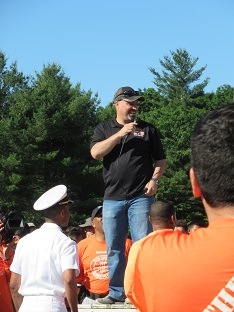 The mission of the Ron Burton Training Village is to enrich the lives of challenged youth in the areas of dynamic character and leadership development, physical fitness, social and educational advancement, and spiritual growth. 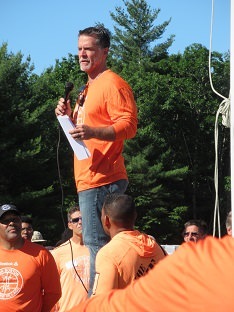 Read the inspirational story of Ron Burton, the founder of the Ron Burton Training Village. Paul Burton spoke at the event kick off about his father’s appreciation for beautiful places and gardens. Paul spoke about how his father was inspired by the beauty of the grounds of the university he attended, and the importance, respect, and the immeasurable value of nature in the entire educational, and life experience. 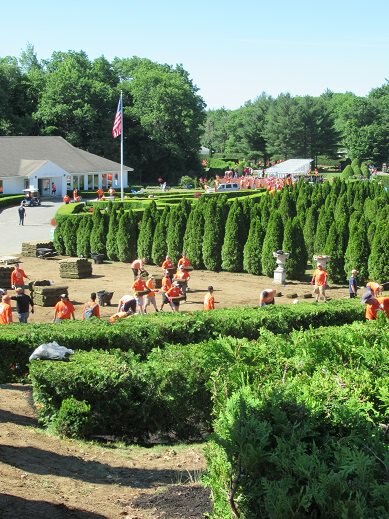 The Home Depot was ready, willing, and able to assist the team, and campers at, The Ron Burton Training Village, to dig, move boulders, plant, water, rake, lay sod, paint, and mulch every inch that needed a bit of attention. 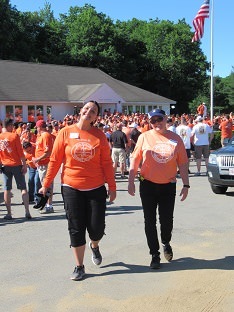 The bright, beautiful summer day brought 600 Team Depot associates, managers, and merchants. There was also incredible vendor support with generous contributions and many hands-on labor, and know how support! What an amazing day! 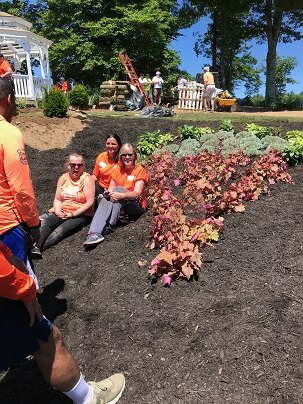 40 pallets-24,000 pieces of sod were put down, 80 pallets of mulch was spread, 600 annuals were planted, 500 perennials were given a home, 500 roses bushes were planted (ouch), 400 very heavy yews were placed and planted, 200 assorted flowering shrub roots were dug in, 600 flowering trees now grace the grounds and 15 gallons of paint were spread on the gazebo, trellises and reflecting pool….incredible! 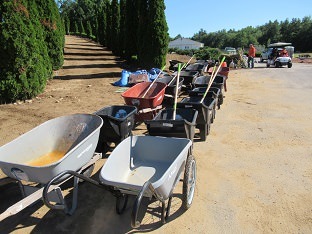 New gardens were established; old gardens were tended and pruned, wheel barrows pushed and carried…collectively, tons of garden goods! 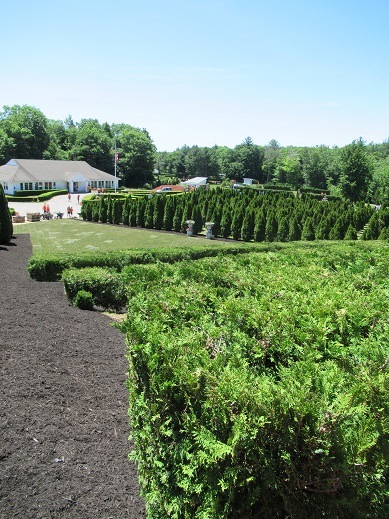 The grassy fields of sod that were created, the many mulched paths, the new gardens that were installed, and all the new improvements will be enjoyed by the campers and the whole Burton team for years to come. The experience will always stay with me, I am grateful to have taken part in such a great event. Working with a company that takes pride in giving back to the community, helping to improve the lives of others and of course greening up the earth makes me happy and proud. 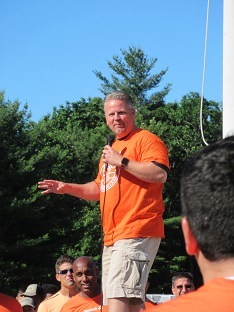 Thank you to one and all who participated, guided, and organized that amazing day, and thank you Ron Burton Sr. for leaving such a loving legacy.